Does Your Nonprofit Have UBTI? Even though a nonprofit organization may be exempt from taxation on income related to its exempt purpose, it is subject to tax on any unrelated business taxable income (UBTI). The IRS regulations are complex in this area, so you must carefully consider if income should be treated as UBTI. First, look at the organization’s mission as reported to the IRS and the IRS code section that is the basis for its exemption (e.g., 501(c)(3), 501(c)(7)). This information about the organization will help you determine if it has UBTI. Income considered UBTI for one organization may not be UBTI for another. For the majority of organizations, income is UBTI if it is from a “regularly carried on” trade or business that is not substantially related to the organization’s exempt purpose and not excluded from UBTI by IRS regulations. This definition applies to organizations other than those exempt under code sections 501(c)(7), (c)(9), (c)(17) and (c)(20). The rules for these types of organizations are outside of the scope of this article. Business activities are typically considered “regularly carried on” if they are frequent, recurrent and pursued in a manner compa­rable to similar commercial activities. Generally, the IRS defines a trade or business as an activity conducted for the production of income from selling goods or performing services. The activity must be conducted with the intent to make a profit. The IRS considers how the organization earns income, not how the organization utilizes income, when determining if income is substantially related to the organization’s exempt purpose. Just because income was used to further the organization’s exempt purpose does not mean it is related to the organization’s exempt purpose. The most commonly used exclusions from UBTI include interest, dividends or similar income, royalties, rents from real property, gains or losses from the disposition of most property, volunteer labor, conventions/trade shows, and member’s convenience. Generally, income excluded from UBTI cannot be debt-financed. The IRS has issued special rules or regula­tions on certain types of income including, but not limited to, advertising, qualified sponsorship income, mailing list income, affinity income and rental income. These types of income require additional research to determine if they are UBTI. Organizations contemplating a new income stream should consider if UBTI could be an issue. A little planning could go a long way. IRS Publication 598 provides an example of how two schools with a tennis club on school grounds have a very different tax result. School One operates a tennis club open to the general public during the summer utilizing tennis courts and locker rooms that are used in the education program during the school year. School employees run the club. School Two leases the same type of facility to an unrelated individual who runs a summer tennis club. The lease is for a fixed fee and is not dependent on income or profits. Both of these activities are unrelated to the school’s mission. School One has taxable income while School Two does not. Why? School One is providing services, while School Two is receiving rental income from real property. Rental income from real property is one of the items excluded from UBTI by the IRS (as long as the property is not financed by debt). The 2017 Tax Cuts and Jobs Act altered the UBTI landscape. For tax years beginning after Dec. 31, 2017, UBTI is now separately computed for each trade or business activity. Losses from one unrelated trade or business may no longer be used to offset income from another unrelated trade or business. It may be difficult to determine if income should be treated as UBTI. A lot depends on the type of organization and its mission. Consider how the income was earned. Re­search thoroughly. Document the rationale behind each decision, and keep a record in a permanent file. Most importantly, stay updated on the latest developments in the UBTI arena. Michelle S. Martin, CPA, is a manager with Klatzkin & Company LLP. 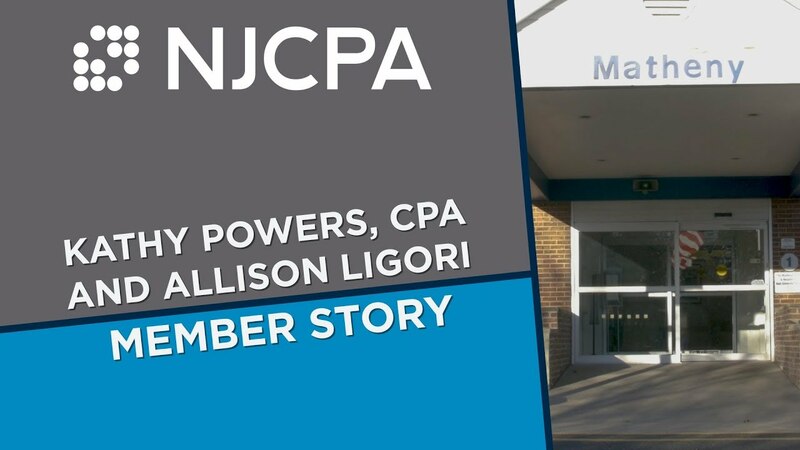 She is a member of the NJCPA. This article appeared in the November/December 2018 issue of New Jersey CPA magazine. Read the full issue.